Creating games and simulations have never been easier than this. Two Lives Left has developed an advanced iOS app called Codea that is tailored to help you come up with our own mobile games and simulations. The default languages are English, German, Italian, French, Dutch, Catalan, Slovak, Simplified Chinese, Japanese, and Spanish. 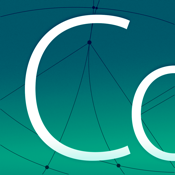 Codea is an intuitive application that was designed using the latest programming technology. It comes with a dynamic and sleek beautiful code editor that you can use to design your program as per your specific needs and preferences. For instance, you will be able to change the background color or add an image by in just two taps. The developer used Lua programming language to create it. It does not rely heavily on symbols as compared to other similar applications in the market. Most people prefer using it on an iPad but it still works perfectly when used on iPhone as it is optimized to run perfectly in both. There is also a fully featured 3D and 2D renderer that will make the process of creating games seamlessly easy. Once you finish creating the program, you can export it to Xcode to produce a real mobile application that you can market online and make some money on the side. One of the highlights of using this application is that it has a complete in-line reference documentation that is easily accessible from the keyboard. The main essence of adding this feature is to give you the best mobile application development experience. You can use the app from anywhere in the world and your device does not have to be connected to the Internet. There is also an auto-completing code editor and intelligent syntax highlight that will work hard to ensure that the final product is as per your specific needs and preferences. In addition, you can import your own assets from Dropbox when you are online. Codea also has a full physics engine that you can use to create mobile applications whose main characters move at high speed. This engine has the ability to support complex motions. You can also add special parameters so as to tweak variables at runtime. To make the game even more exciting, you can add retro game sound effects. It is also possible to record videos of your objects and share with friends and colleagues. You can also code live from your personal computer using WiFi and its built-in Air Code feature. Finally, it has a Bluetooth keyboard support and GLSL Shader language support with a special live shader editor. Codea is a reliable application that you can use to come up with personalized mobile apps without spending a fortune.